To see a video on using the gauge, click here. This can seem like an awkwardly shaped tool, holding the wood with one hand and the stem with the other can aid control. Press lightly but firmly when marking, the pressure should be applied against the registration face, not downwards onto the pins. You don’t want to dig into the wood, just lightly mark the surface. Pressing the pins in too deeply into the wood can easily force them off course, if too much pressure is applied the pins will follow the grain. To adjust, the stock of the gauge can be moved up and down the stem by loosening the lock mechanism, this can either be a thumb screw or a set screw. The marking gauge and the mortise gauge are used in the same way as the combination gauge. Make sure you are registering the stock against a straight and square surface when using the gauge. 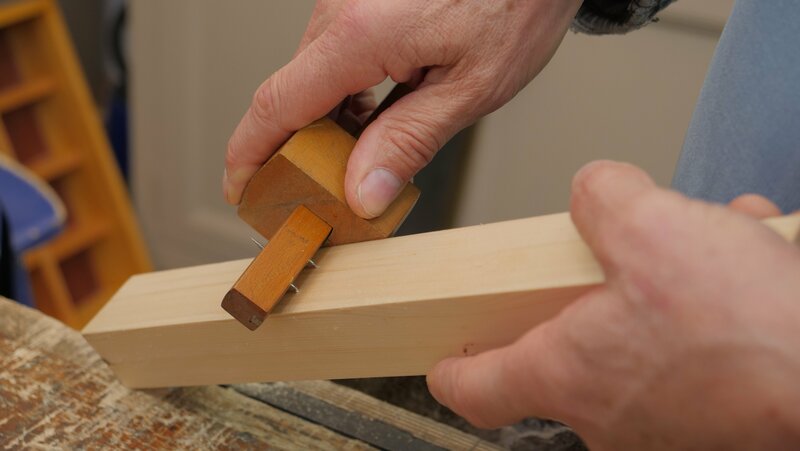 Hold your wood with one hand and use the other to pull the gauge. 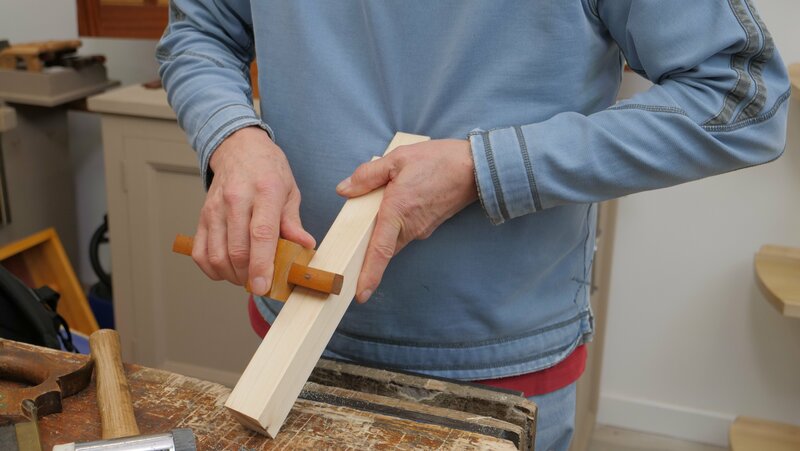 You can also put your wood in a vise if this is easier. A combination gauge has two pins on one side and one pin on the other. 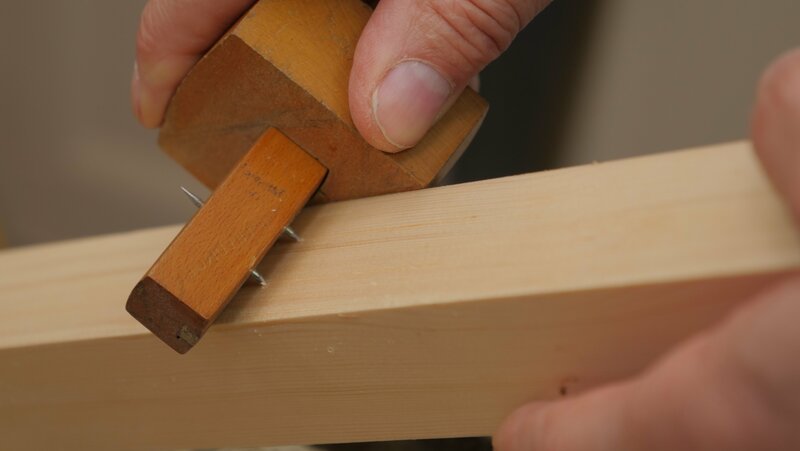 The pins don't need to dig far into the wood surface as they only need to create a visible mark. This can then be emphasised with a pencil line to increase visibility.